Black tea, called hóngchá (红茶) or red tea in China, is a type of tea that is more oxidized than oolong, green, and white teas. Black tea is generally stronger in flavour than the less oxidized teas. All four types are made from leaves of the shrub (or small tree) Camellia sinensis. Two principal varieties of the species are used – the small-leaved Chinese variety plant (C. sinensis var. sinensis), used for most other types of teas, and the large-leaved Assamese plant (C. sinensis var. assamica), which was traditionally mainly used for black tea, although in recent years some green and white teas have been produced. While green tea usually loses its flavor within a year, black tea retains its flavour for several years. For this reason, it has long been an article of trade, and compressed bricks of black tea even served as a form of de facto currency in Mongolia, Tibet and Siberia into the 19th century. Black tea accounts for over 90% of all tea sold in the West. Generally, unblended black teas are named after the region in which they are produced. Often, different regions are known for producing teas with characteristic flavors. Black tea is often blended and mixed with various other plants in order to obtain a beverage. Masala chai has been widely recognised and adapted in the West by the locals to their liking since its introduction by the British East India company, with changes in the ingredients and the method of preparation more suited to western consumers. The tea is then ready for packaging. 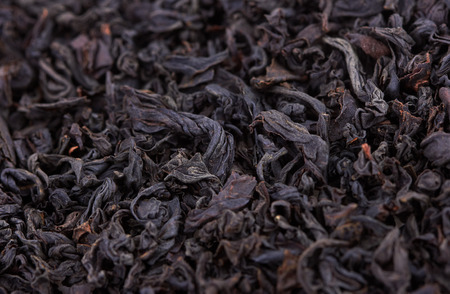 Black tea is usually graded on one of four scales of quality. Whole-leaf teas are the highest quality, with the best whole-leaf teas graded as "orange pekoe." After the whole-leaf teas, the scale degrades to broken leaves, fannings, then dusts. Whole-leaf teas are produced with little or no alteration to the tea leaf. This results in a finished product with a coarser texture than that of bagged teas. Whole-leaf teas are widely considered the most valuable, especially if they contain leaf tips. Broken leaves are commonly sold as medium-grade loose teas. Smaller broken varieties may be included in tea bags. Fannings are usually small particles of tea left over from the production of larger tea varieties, but are occasionally manufactured specifically for use in bagged teas. Dusts are the finest particles of tea left over from production of the above varieties, and are often used for tea bags with very fast and harsh brews. Fannings and dusts are useful in bagged teas because the greater surface area of the many particles allows for a fast, complete diffusion of the tea into the water. Fannings and dusts usually have a darker colour, lack of sweetness, and stronger flavor when brewed. Generally, 4 grams (0.14 oz) of tea per 200 ml (7.0 imp fl oz; 6.8 US fl oz) of water. Unlike green teas, which turn bitter when brewed at higher temperatures, black tea should be steeped in water brought up to 90–95 °C. The first brew should be 60 sec., the second brew 40 sec., and the third brew 60 sec. If the tea is of high quality, it may be brewed several times by progressively adding 10 sec. to the brew time following the third infusion (note: when using a larger tea pot the ratio of tea to water will need to be adjusted to achieve similar results). A cold vessel lowers the steep temperature; to avoid this, always rinse the vessel with +90 °C (+194 °F) water before brewing. The more delicate black teas, such as Darjeeling, should be steeped for 3 to 4 minutes. The same holds for broken leaf teas, which have more surface area and need less brewing time than whole leaves. Whole-leaf black teas, and black teas to be served with milk or lemon, should be steeped 4 to 5 minutes. Longer steeping times makes the tea bitter (at this point, it is referred to as being "stewed" in the UK). When the tea has brewed long enough to suit the drinker's taste, it should be strained before serving. The ISO Standard 3103 defines how to brew tea for tasting. Plain black tea without sweeteners or additives contains caffeine, but negligible quantities of calories or nutrients. Black teas from Camellia sinensis contain polyphenols, such as flavonoids, which are under preliminary research for their potential to affect blood pressure and blood lipids as risk factors for cardiovascular disease, but overall this research remains inconclusive. Long-term consumption of black tea only slightly lowered systolic and diastolic blood pressures (about 1-2 mmHg). Black tea consumption may be associated with a reduced risk of stroke, but there is only limited research to evaluate this possibility. Meta-analyses of observational studies concluded that black tea consumption does not affect the development of oral cancers in Asian or Caucasian populations, esophageal cancer or prostate cancer in Asian populations, or lung cancer.